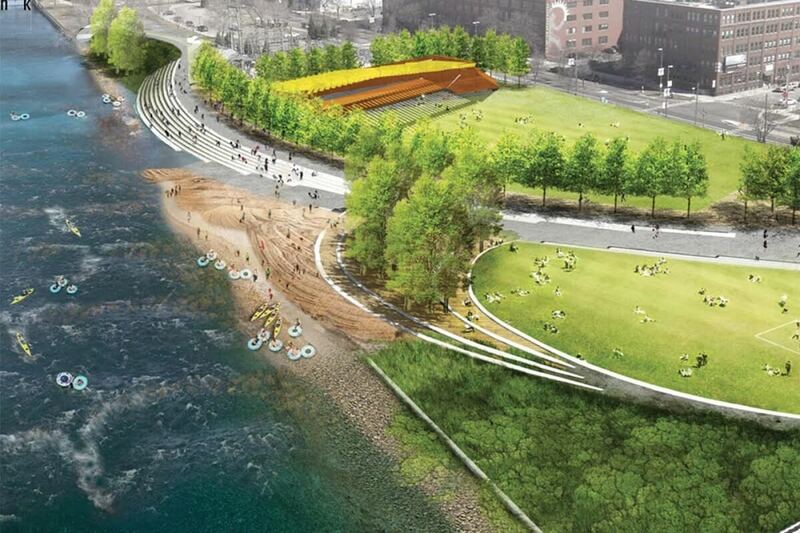 Rendering provided by River for All featuring potential Grand River edge landscapes. “The Grand Rapids Whitewater nonprofit has secured $4.4 million in new public and foundation funding for its restoration efforts of the Grand River through the city. With pledges of $1.4 million from Kent County, $2 million from the state of Michigan and $1 million from the Peter C. and Emajean Cook Foundation, the group has now raised about 71 percent of its overall $44.6 million fundraising goal, Project Manager Matt Chapman told MiBiz. Read more about our new funding and Steve Heacock’s new role and perspective in MiBiz’s article.